Sitio Nabag-o, Barangay Busdi, Malaybalay City, is a village created a decade ago when the 16 families of Sitio Tagaytay, higher up in the Pantaron Range, decided to settle closer to the Pulangi River in order to avoid being caught in the crossfire of armed encounters between rebels and the military. 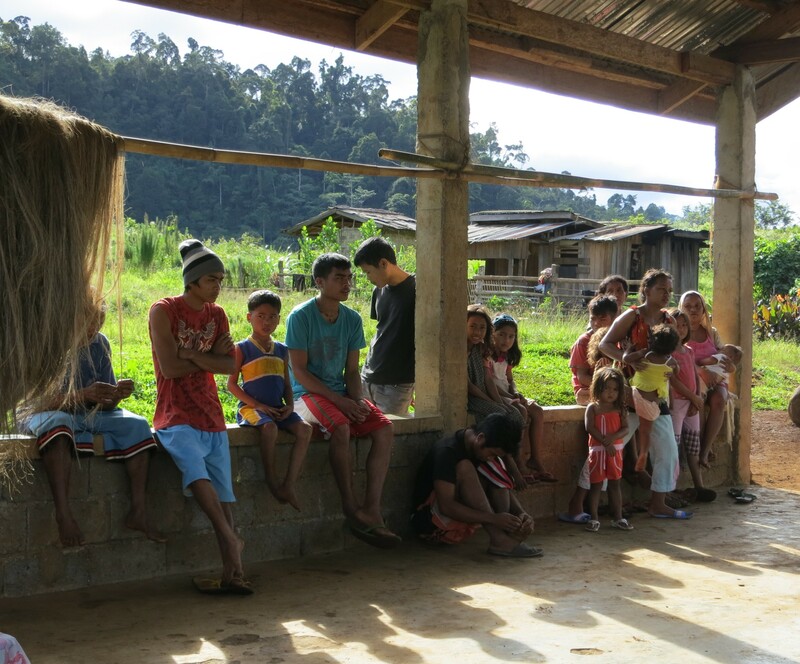 They have been petitioning APC to help them set up village classes, similar to what APC has done in Sitio Nabawang, 30 minutes away from Nabag-o, across Pulangi River. Pedro Walpole, Datu Netsor and several APC staff walked to Sitio Nabag-o last December to respond to this request. Two community members in their 20s, a man and a woman, have volunteered to handle classes of eight Kinder 1-2 students and twelve Grades 1-2 students. An APC teacher from Nabawang will provide training and guidance to the new teachers. APC will also share the learning materials it has developed in the local language.